Tired of big and bloated Android launchers that pack in useless features that you’ll never use? Sick of launchers that seem to be nothing more than copy-and-paste jobs and have no additional value? Smart Launcher may not be the first minimalist launcher on the Play Store, but it has successfully made itself into a launcher that prioritizes speed and efficiency without being ugly. 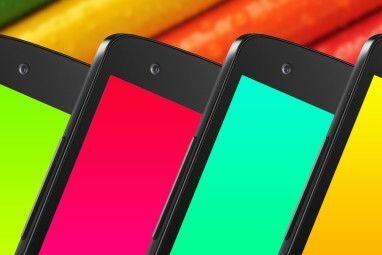 I recently wrote an article detailing five awesome Android launchers for you Transform Your Droid: 5 Launchers To Replace The One That Came With Your Phone Transform Your Droid: 5 Launchers To Replace The One That Came With Your Phone Android launchers are a great way to spice up your home screen with new graphics and new features. For the uninitiated, you should know that your phone already has its own stock launcher, but stock... Read More to use, but the comments really surprised me with all the new launchers that I hadn’t yet discovered. Since then, I’ve gone ahead and reviewed the stylish Buzz Launcher The Amazing Buzz Launcher: Over 60,000 Home Screens For You To Try The Amazing Buzz Launcher: Over 60,000 Home Screens For You To Try I've explored lots of powerful Android launchers in the past but Buzz Launcher is the first one to truly blow me away with its delicate balance of flexibility and ease of use. Buzz Launcher is... Read More as well as published a write-up on the minimal Yandex.Shell launcher Forget Power Features: Yandex.Shell Keeps It Light, Clean, and Easy Forget Power Features: Yandex.Shell Keeps It Light, Clean, and Easy If you haven't found your perfect Android launcher yet, I highly recommend giving Yandex.Shell a try. Read More . Reader Dan introduced me to Smart Launcher, which very well might be my favorite launcher yet. Keep reading to find out why. 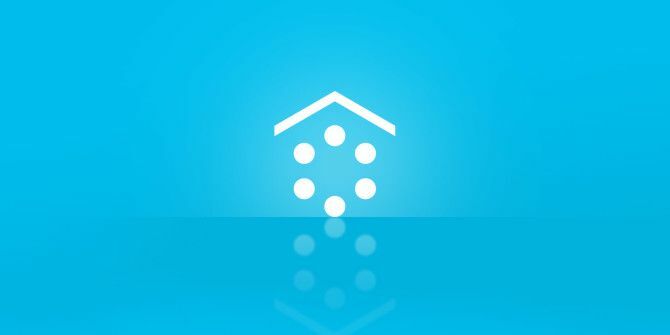 Like most launchers these days, Smart Launcher starts you off with a quick wizard. 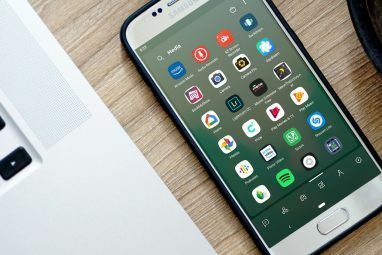 There are about half a dozen steps, each one asking you to pick your preferred app in a number of categories, including Music, Browser, and Phone. Once you’re done that, which shouldn’t take more than a few seconds, you’ll be presented with a clean home screen with the six apps that you chose in the wizard shaped as a ring of icons. And, wow, I must say that this launcher is indeed zippy. As a user of an original Galaxy S (which is now 3 years old), I was blown away by how fast this launcher runs. Normally when I use a relatively fast launcher, I’ll still get hiccups and freeze frames here and there, but with Smart Launcher I haven’t gotten any of that yet. The transitions, the animations, the processing – it’s all fast and lovely. Another thing to note, which you won’t see reflected in the screenshots, is that Smart Launcher is designed with both Portrait and Landscape modes in mind. I’ve never liked Landscape mode very much on my phone, but this is the one time where I truly felt tempted to start using it. So we know that Smart Launcher has good performance, but does it come with all of the features that you need? Minimalism is great until so many features are stripped away that it becomes little more than a barebones operation. Fortunately, that’s not the case here. What can you expect from Smart Launcher? Sleek app drawer. Right from the home screen, all you have to do is tap one button to arrive at one of the best app drawer’s I’ve ever seen. It automatically organizes itself into six categories: Communication, Internet, Games, Media, Utility, and System. If it incorrectly sorts one of your apps, you can always drag it into the right one. Hide apps. If you have tons of apps that clutter your app drawer even after they’ve been categorized, you can choose to hide certain apps from view. This is extremely useful for those pesky apps that you can’t or won’t uninstall yet you’ll never use. Themes. Smart Launcher comes with one theme by default, which is a pretty nice one on its own, but also with the ability to download from dozens, maybe hundreds, of other choices. The themes change icons, wallpapers, and colors. Each has its own unique feel, but they all adhere to the same layout. On top of the core functionality outlined above, Smart Launcher has a few perks that you can play with to customize and improve your experience with it. Icon packs. Smart Launcher supports using icon packs that are meant for ADW Launcher, Apex Launcher, Nova Launcher, and LauncherPro, which is a great way to customize the look of your app icons while keeping a particular theme. You can also change icons on a per-app basis. Gestures. Gestures can be enabled to perform Smart Launcher actions or just to open apps. Smart Launcher actions include but not limited to: open app drawer, show/hide status bar, show notifications panel, and show toggle panel. Live wallpapers. Live wallpapers are a special type of wallpaper that is animated. Despite the simple and sleek design of Smart Launcher, you can still make it look and feel great, and live wallpapers are just one in a few ways for doing so. Widgets. Widgets have become an integral part of most launchers these days, and Smart Launcher does support them, but unfortunately only in the Pro version. Thankfully, I’m not a huge user of widgets so I can live without them, but for those of you who need it, the Pro version will cost you about $3.99 USD. Should you use Smart Launcher? Ultimately, it comes down to whether or not you need power features. If you’re looking for lots of flexibility and the ability to do pretty much whatever you want, you might want to look into something like Nova Launcher Nova Launcher - Even Better Than The Default Android 4.0 Launcher Nova Launcher - Even Better Than The Default Android 4.0 Launcher Up until Ice Cream Sandwich (Android 4.0) came along, Android’s interface felt somewhat less polished than iOS’s. But with Android 4.0, Google made a clean break with the previous visual style for Android, introducing Holo... Read More . 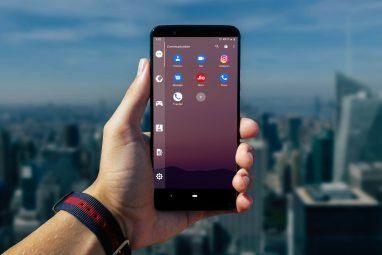 However, if you just want something that doesn’t have much of a learning curve, keeps an intuitive design, and looks fantastic, Smart Launcher might be for you. Have you used Smart Launcher before? What’s been your experience with it? If you haven’t used it, will you be giving it a shot? Share your thoughts with us in the comments! I have tried other launches on my galaxy including Nova,. Cm launcher, some 3d launchers. But I always come back to AL pro launcher because it organizes the apps for me. It's the simplest way to find apps in this galaxy of apps that never ends. Sorry had to throw that in. If Nova got the same sorting feature that would be great. I am using Smart Launcher 3 Pro edition. Only just used it for a day and I love it. Smart Launcher 2, which is the current free version, is really the best, and by a mile. Unlike this review pointed, you can arrange your icons "grid style", if you like. In a single package, you have everything you want from a launcher: breathtaking performance, minimum to none RAM and battery impact, and a completely modified home screen, which happens to be very beautiful, BTW. After testing about 20 launchers, I was about to give up, due to lags, high RAM usage, etc. Then SL came along and blew my mind. Can I customize style and resources then build my own App? I want to install it on multiple devices with one APK to distribute. I have Smart Launcher. But I have tried several themes. I hit open and it keeps taking me back to Play store. The Elixer and the Lithe won't open. Any advice? If you want a fast,stable,smooth,easy to use,battery/ram friendly with minimalistic home screen lancher then go with ''SMART LANCHER''. Go to Settings> Applications> Smart Launcher> Click on "Clear Defaults". Press the Home button and select the Xperia Home and Click "Always" or "Just Once" as per your requirement! Been using smart launcher for more than 6 months. Best there is. I installed this on my droid 4.1.1 ZTE phone and it worked for all of 4 minutes before some glitchy thing happened and it started showing a double-image for the icons. It was like window blinds showing the screen and apps I wanted to see with other app icons shifted off to one side and transparent behind them. When I bought my LG Android phone the first thing I wanted was a minimalistic user interface and dug into more launchers and finally ended up with smart launcher. One thing not mentioned here is the plugin support (although not many), provides screen notification of calls, messages etc as icon overlays. It also supports double finger gestures in the pro version. I tried it and it wasn't bad, but it needs a way to change the categories. I use shopping and books & reference categories and Smart Launcher is too much of a pain to use without these categories. I just switched from the GO launcher to smart & I am pleasantly surprised. It's simple but yet it doesn't "feel" Like that. It's "uncumbersome"yet gives you so many choices. It's extremely easy to set up initially & maintain. I don't forsee myself switching back to another one in the near future. GREAT article! Just like Smart launcher... Simple yet has an exponential amount of choices!! Or just get a Windows Phone. Android is a mess. YOUR LOGIC AND REASON HAVE CONVINCED ME. I'm using Smart Launcher for 3 months and it's awesome! I'm using on my Samsung Galaxy Next Turbo and it's fast and reliable! Just downloaded Smart Launcher on my old Samsung Galaxy S2, and so far, I'm really liking it. I really like the ring-shaped launcher. Very sleek and uncumbersome. Good article, and thanks for the info!